Business chiefs fear a Highland beauty spot will be hit by a plague of rats and gulls if plans for a new rubbish depot are backed by councillors. The controversial scheme would involve converting a large storage shed to deal with waste from local authority collections and Alness-based Munro Construction’s own skip hire business. The proposals for the Carse industrial estate in Inverness have attracted a flood of angry objections from firms who fear an increase in traffic, noise and foul smells. The site earmarked for the development is close to the scenic Caledonian Canal and Muirtown Basin and objectors fear the waste handling station could derail efforts to attract more visitors to the area. 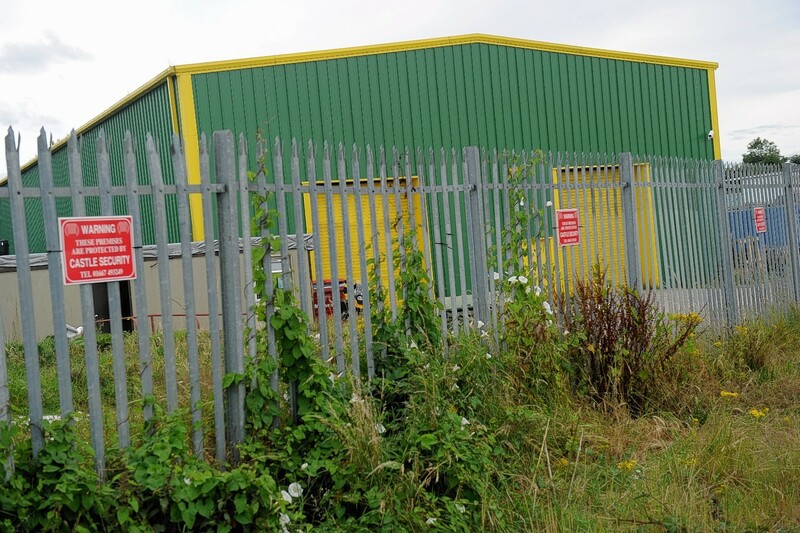 Munro Construction (Highland) wants to convert a shed at 38 Carsegate Road into a centre for sorting refuse before it is sent to landfill sites or for recycling. The company wants permission to handle a total of 24,999 tonnes of domestic waste and other recyclable materials annually. About 15 vehicles a day would bring the waste in, with a further eight bulk carriers taking it away – with one of the destinations Highland Council’s own Seater landfill site at Wick. But the plans are under fire from neighbouring business and residents in the Merkinch area of Inverness. About 40 people, including many Carse business bosses, have submitted objections to the local authority. Merkinch Community Council chairwoman, Dell McClurg, said: “We strongly object to the placing of this facility at 38 Carsegate Road. “Firstly, the Carse industrial estate backs onto a densely populated area where many extremely vulnerable people live, vulnerable people who are unlikely to feel they have the power to object. “A great deal of money has recently been spent renovating nearby housing and this is a very inappropriate place to put this facility. “Secondly, the playing field and recreational area and Merkinch Primary School are also extremely close to this area. “Recently, we had a meeting with the group who are developing the Muirtown Basin and Carse area and plan to have museums, marinas and other tourist facilities. The Carse industrial estate is home to a number of garages and other commercial businesses. Alistair Scrimgeour, chairman of car dealer Dicksons, which neighbours the proposed site, said that gulls were already a pest in the area and suggested that the new station would exacerbate the problem. He added that it would be a “serious disincentive to potential new businesses” considering relocation to the nearby Telford Retail Park. This has become rundown in recent years after a number of high profile firms vacated stores. He said that dust was a concern and that the firm recently invested in new valeting facilities to keep their vehicles in pristine condition. They also pay for a falconer to visit to deter gulls from nesting in the area. Graham Clark, managing director of car dealer Anderson Clark, said: “This will undoubtedly have a detrimental effect on my business activity. “I keep my premises in a neat and tidy condition at all times. I would suspect that we will have to spend extra resources on maintenance. Other objectors were concerned about the increase in traffic and noise. Munro Construction (Highland) Ltd did not respond to the Press and Journal’s inquiries yesterday.